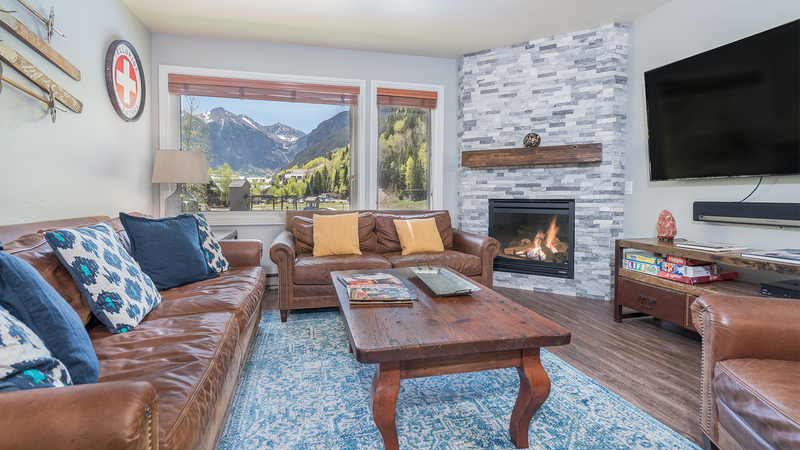 Etta Place Too is located at the very base of Lift #7, the Coonskin Lift, a true ski in/out complex on the west end of Telluride. 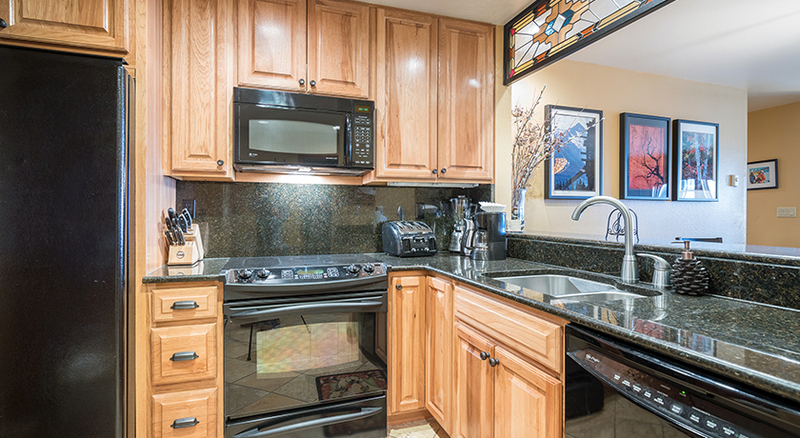 Amenities include a year round outdoor hot tub and heated pool during the summer months. 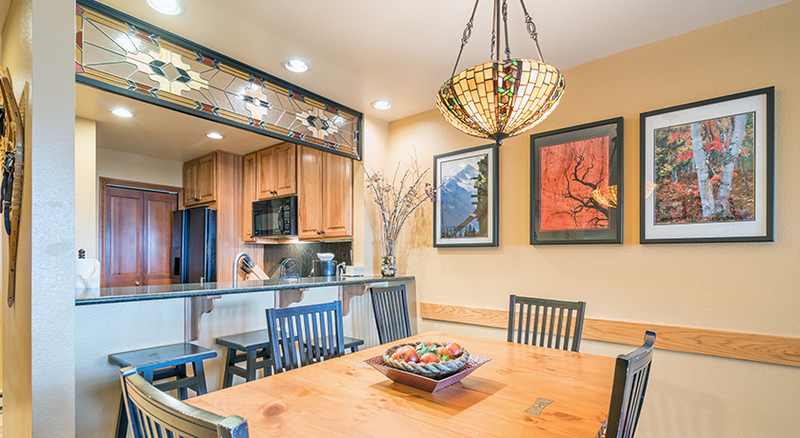 A Galloping Goose shuttle stop is just steps away making shopping and dining easily accessible. 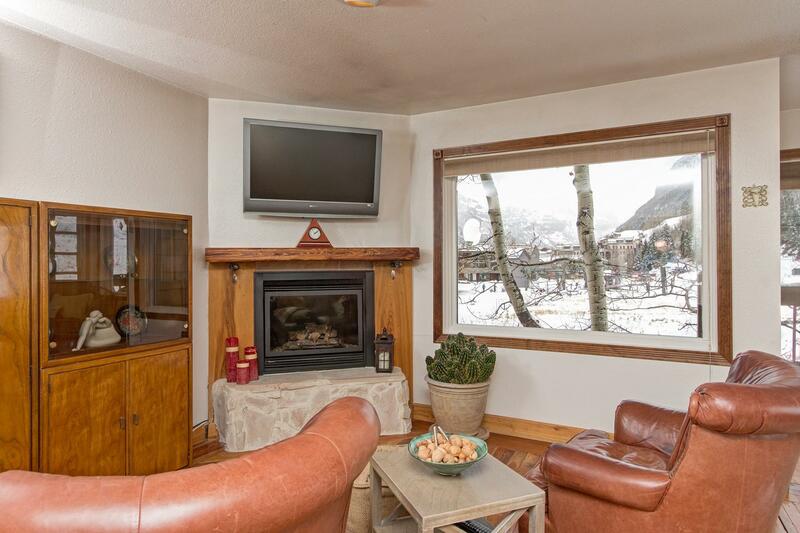 Etta Place Too is as close to the slopes as you can get in Telluride. The Coonskin Lift (7) and the Telluride River Trail are directly out your door. Bedding: Queen bed, 2 twins and queen sofa sleeper. This condo offers a full kitchen, living room with a queen sofa sleeper, flat screen TV and gas fireplace. 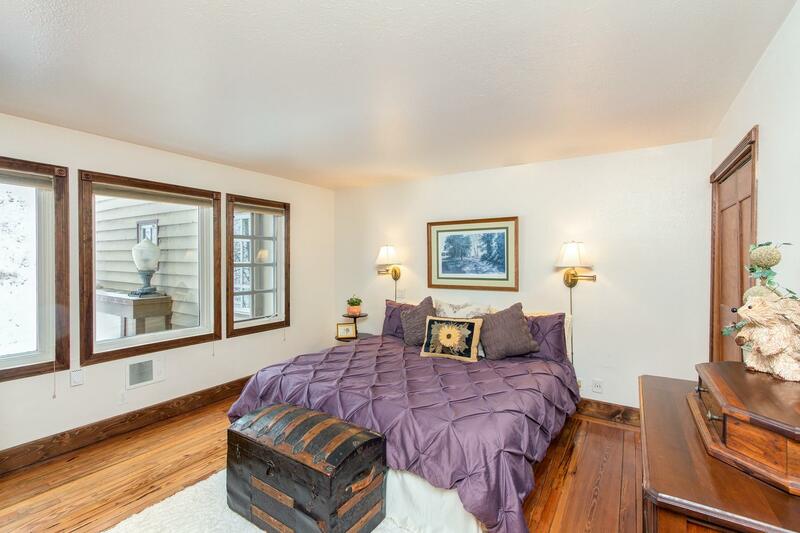 The master bedroom has a queen bed, TV and private bath. The second bedroom on the same level has 2 twin beds. 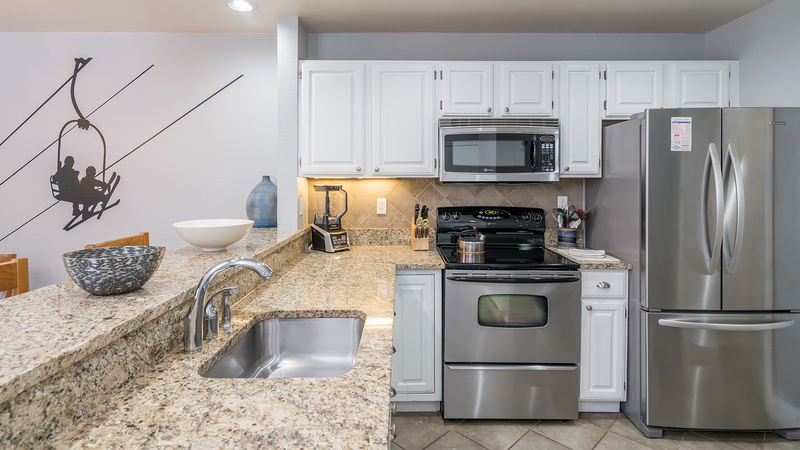 The condo also has a private washer and dryer, and the complex has a common area hot tub and an outdoor heated pool (open during summer seasons). 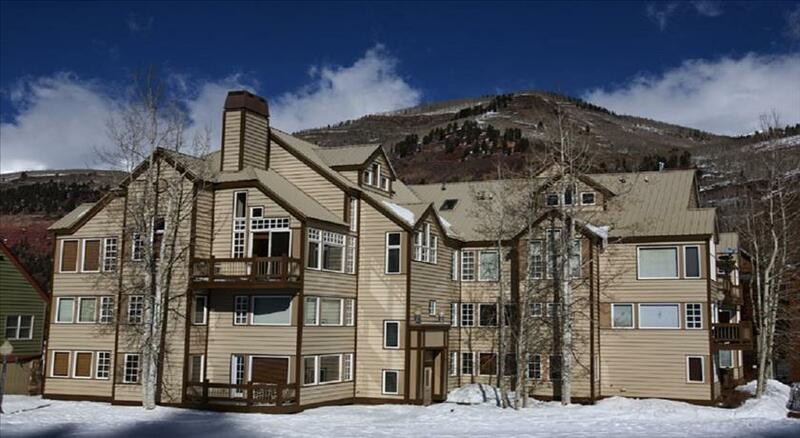 For in-town convenience, with ski-in/ski-out access, a 3-bedroom/3-bath condo makes the most of the space. Bedding: king bed, queen bed, queen bed, and queen sofa-sleeper. 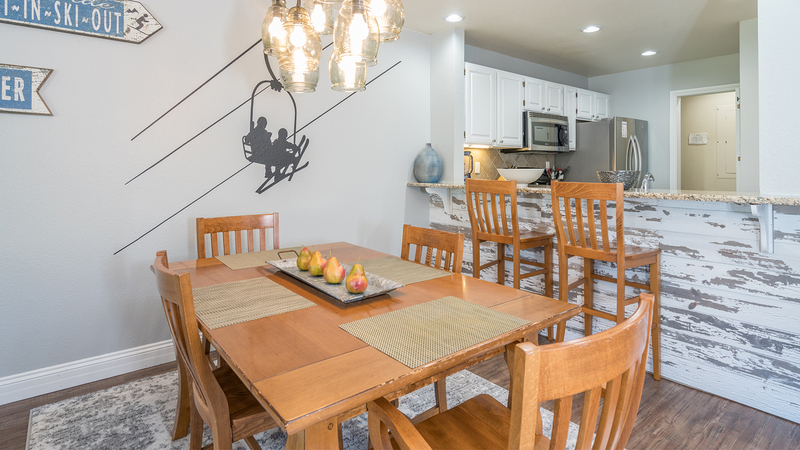 Recently renovated and under new ownership, enter this second-floor condo from the interior hallway, and find the open plan kitchen-dining-living room with sweeping views of Ajax Peak to the east. The sitting area comfortably seats 8, and has a gas fireplace, wet-bar w/ beverage center, and queen sofa-sleeper. 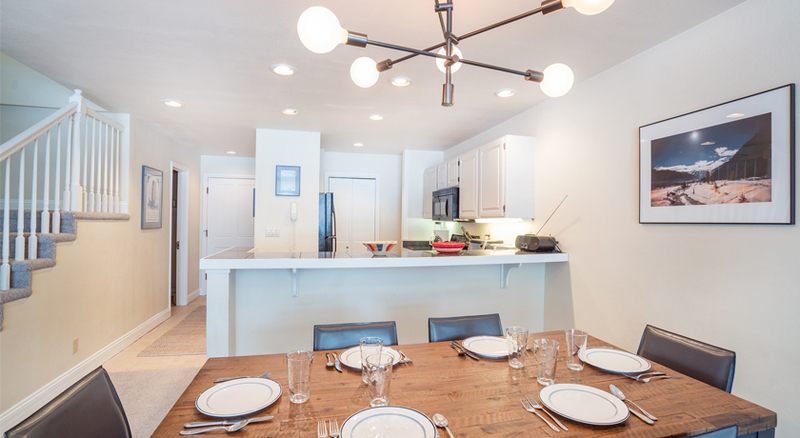 The adjacent dining table has 4 chairs, with breakfast-counter stools for overflow. 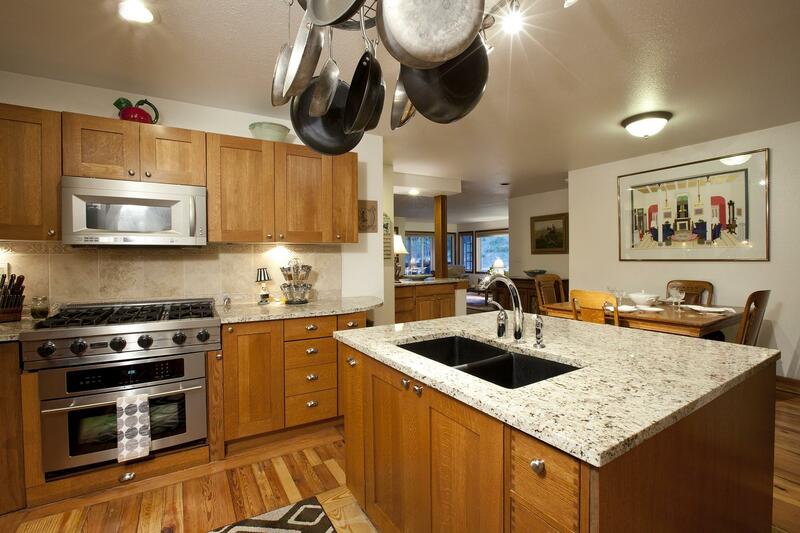 Granite counter-tops and new appliances grace the kitchen with style and function. There is a full bathroom accessible from this area. 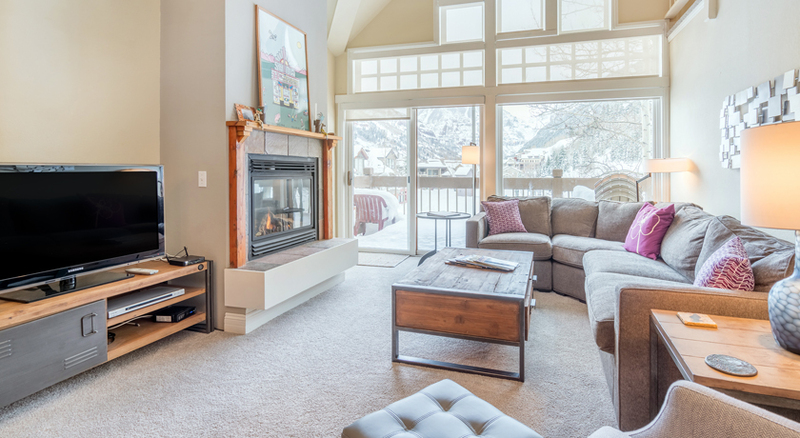 The master bedroom, also with expansive views of Ajax Peak, has a king bed and en-suite bathroom with jetted tub and separate shower (easy step in). Youâ€™ll also find a small workspace in the corner room complete with an extra monitor in case work calls you back during your stay. 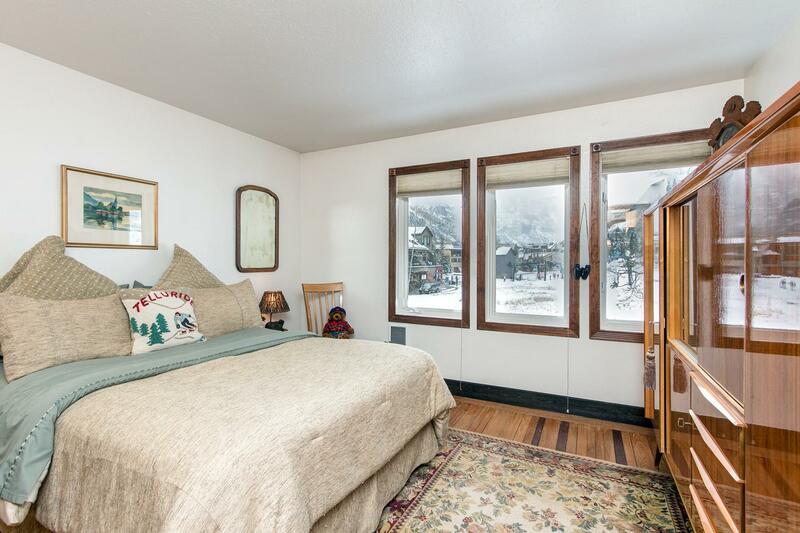 The middle bedroom has a queen bed with large windows that, despite facing the building next door, let in good light. 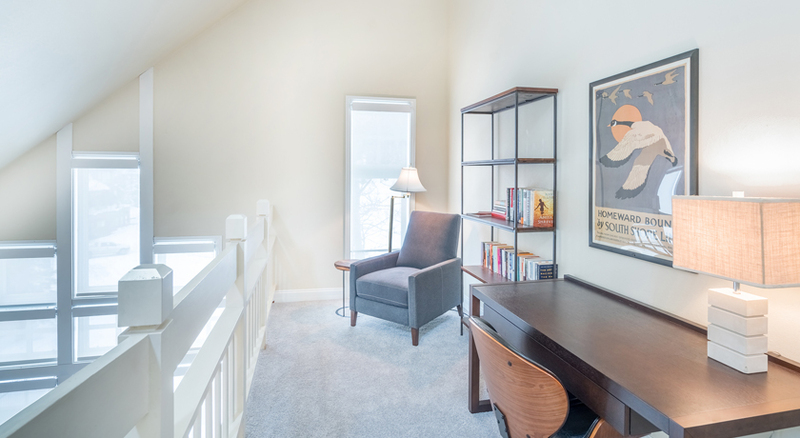 This bedroom is directly across the hall from the newly remodeled common-access bathroom which has awalk-in shower and large vanity. 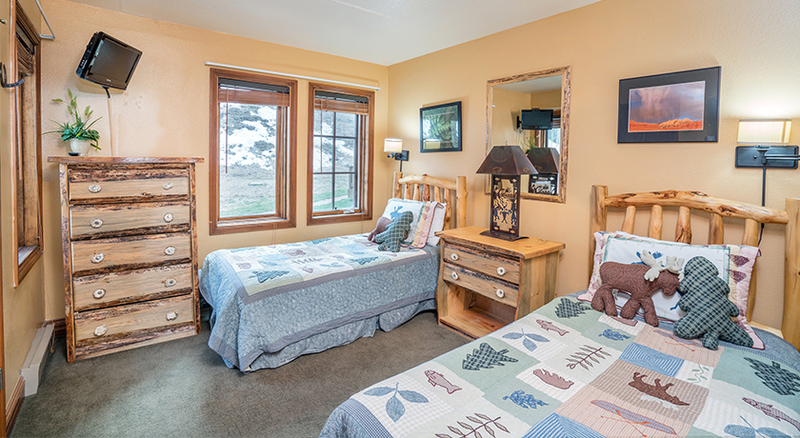 The 3rd bedroom faces west with beautiful valley floor and mountain views, has a queen bed and a renovated en-suite bath with a tub and shower combination. The condo has a new washer/dryer, complimentary Wifi and cable TV. The living room has a 65-inch flatscreen TV while the master and 3rd bedroom both have flatscreen TVâ€™s. 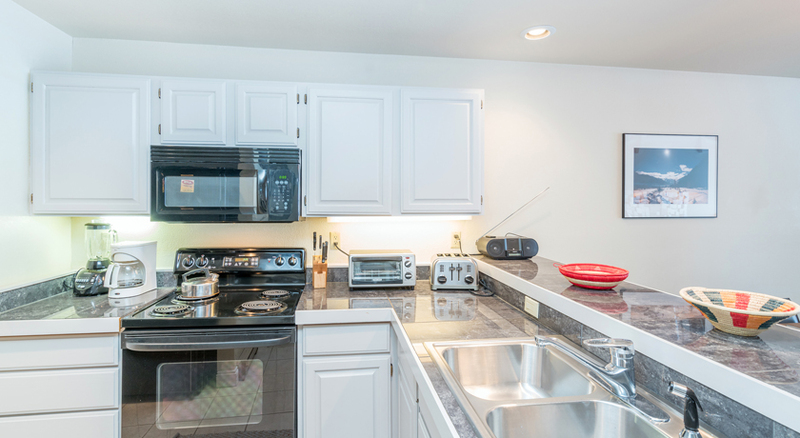 Small appliances include toaster, Keurig coffee-maker, coffee-grinder and Nutri Ninja Blender System. 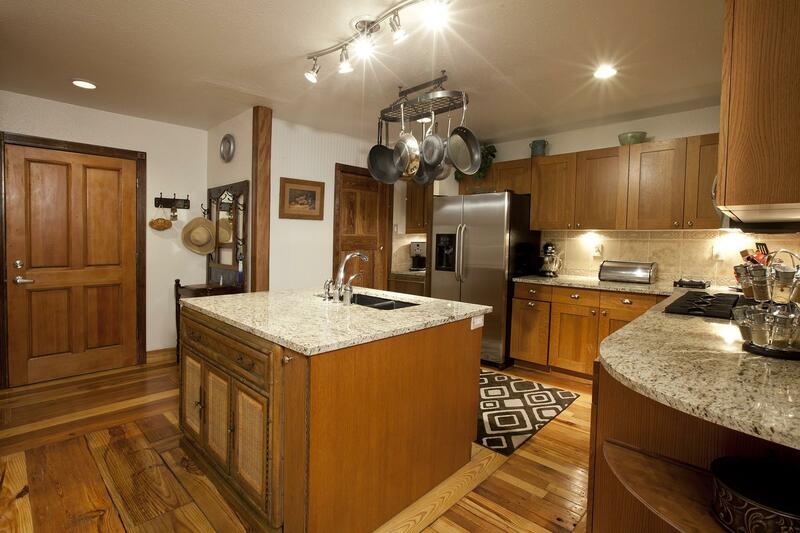 The complex offers ski-in/ski-out access via Lift #7 (Coonskin Lift). The free in-town shuttle stops across the street. 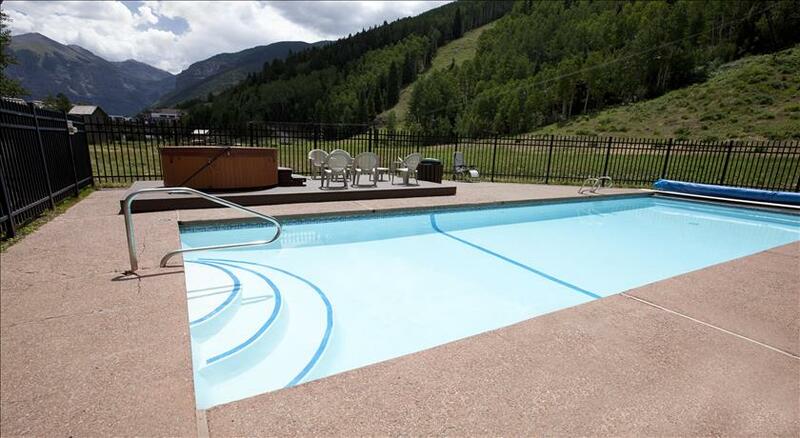 There is a common outdoor hot tub (winter and summer) and seasonal (summer only) swimming pool with views of Ajax mountain, the Box Canyon as well as Lower Milk Run ski run. Parking is available in the lot across the street. There is a bike rack on the east side of the building, next to the pool. Easy walk (about 15-minutes) to the Festivals in Town Park up the scenic River Trail located just steps from the building. 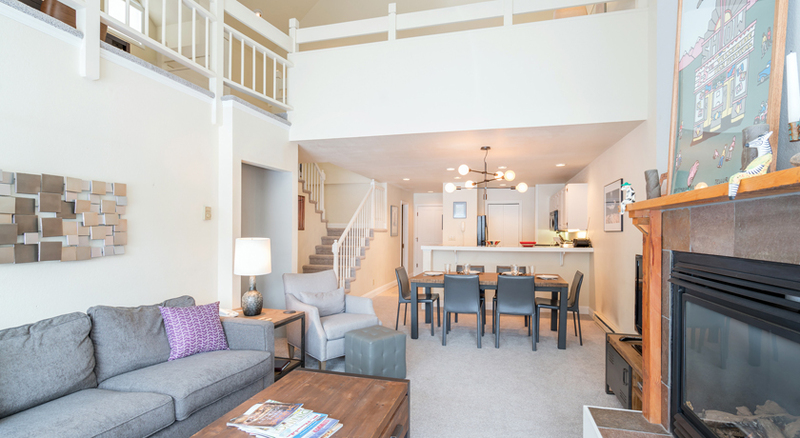 This 3-bedroom and loft/ 3-bath condo has a king bed, queen bed, 2 twins, and an additional twin plus sofa-sleeper. 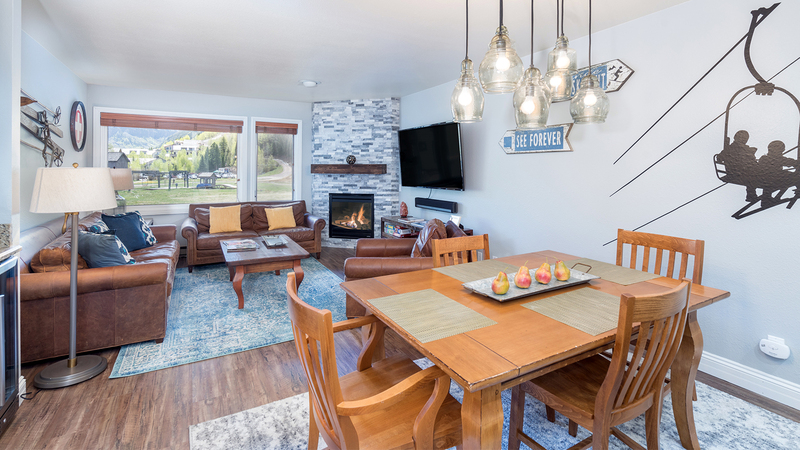 Enter this third floor condo and find the living room with TV/DVD, stereo, gas fireplace, wet bar, queen sofa-sleeper, and views of Ajax Peak & the Box Canyon. 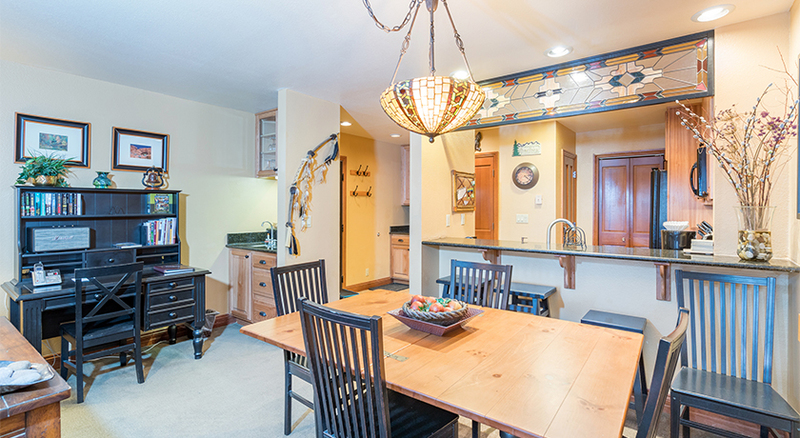 Open to the living room is the dining room with table which seats 6 and full kitchen. 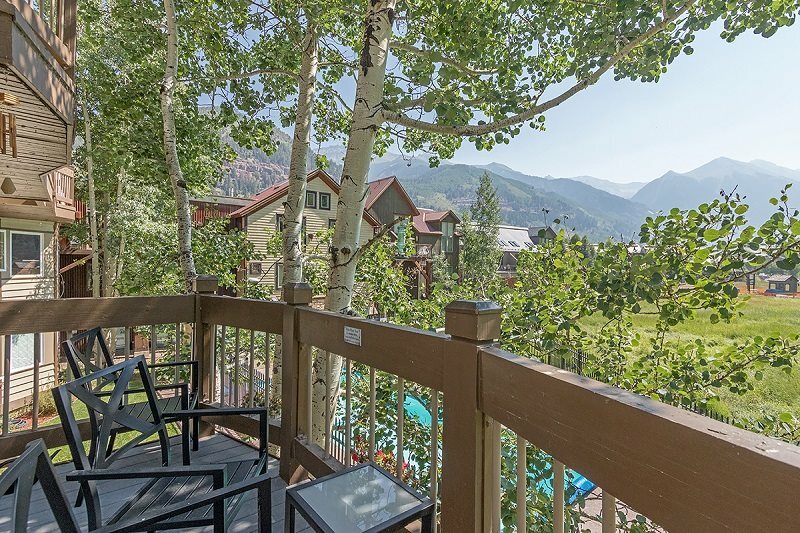 The small deck off the living room enjoys views of the ski runs and surrounding mountains. Down a hallway are the three bedrooms. 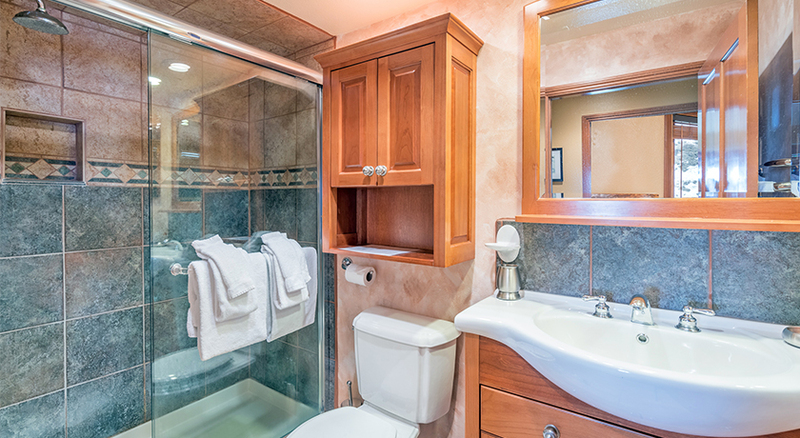 The master bedroom has a king bed and private bathroom with a large Jacuzzi tub and separate shower. The second bedroom has a queen bed and the third bedroom has 2 twins. In the hallway is another bathroom with a shower/tub combo. Upstairs in the loft, to your left there is a twin bed and to your right there is a sofa sleeper. 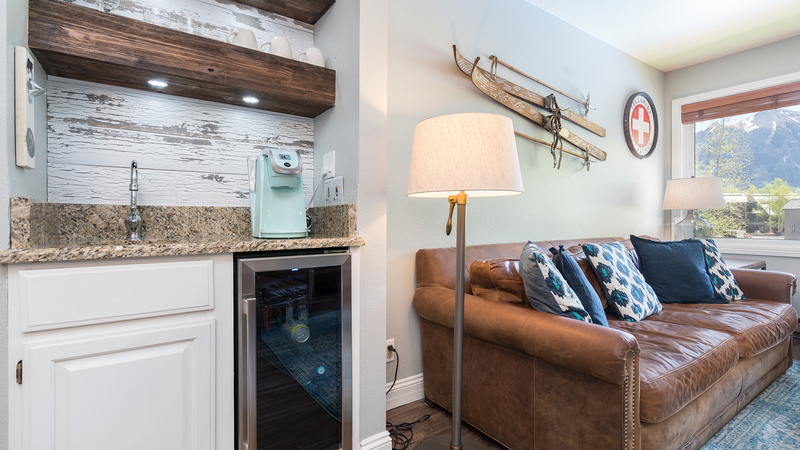 This condo also has a private washer and dryer and wireless internet. Two parking permits will be provided for two vehicles in the Shandoka parking lot on a first come, first serve basis. Additional parking is available at the Mountain Village Gondola Parking Garage, located behind town hall, for $25 per night. 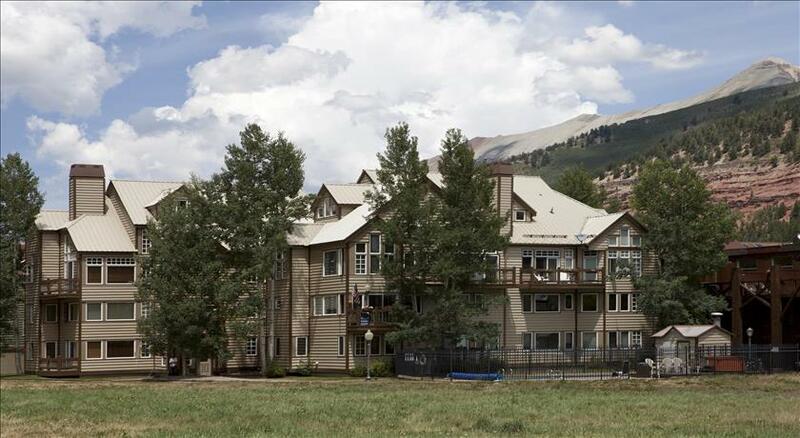 Additional parking is available in the Heritage Parking Garage located off Mountain Village Blvd and across for the Hotel Madeline for $35 per 24 hour period.